With the nights drawing in during September and the clocks changing on Sunday 28 October, Bugaboo, the Dutch mobility design brand, has designed an innovative pushchair with reflective elements – the Bugaboo Fox Stellar – and selection of reflective accessories for all Bugaboo pushchairs – The Bugaboo Stellar Collection – to make parents and their little ones visible during evening strolls. 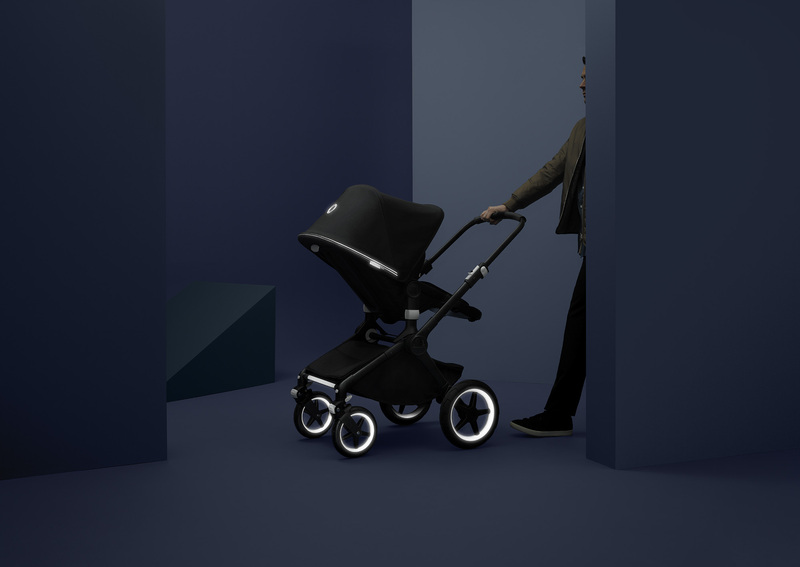 Allowing parents to say ’YES!’ to strolls after dark by introducing the Bugaboo Fox Stellar which provides 360° night-time visibility from up to 150m away, the pushchair features 3M™ Scotchlite™ Reflective Material on the wheel caps and the front and rear of the chassis. When illuminated by a light source, like a car’s headlights, the reflective parts make the pushchair stand out in the dark. The eye-catching pushchair looks just as good by day thanks to its Midnight Blue fabric and Steel Blue lining. A black chassis and grey leather-look handlebar and carry handle complete its sleek look. The pushchair comes prepared for all parents’ adventures thanks to its weather-proof under-seat basket, high performance rain cover and rugged tyres. This latest release cements Bugaboo’s reputation as a company that designs pushchairs tailored to parents’ needs.